Horse drawn sleighs move more easily through snow than do wheeled wagons, so sleigh versions of most kinds of horse-drawn transportation exist. This hearse on bob sleds was on display in the Remmington Carriage Museum in Cardston, Alberta in July, 2015. 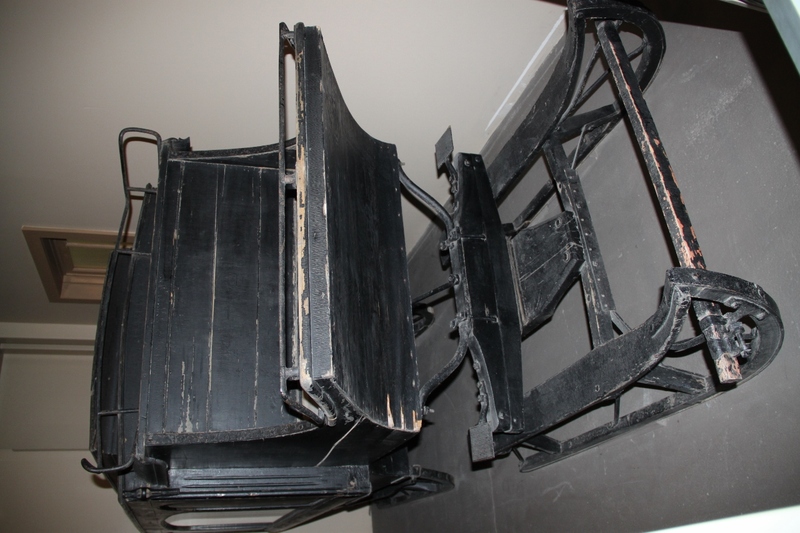 Part of the collection of the Glenbow Museum in Calgary, it was used by the McKillop's Funeral Home in Portage la Prairie Manitoba as a winter hearse until 1915. Manufactured circa 1890.